Patricia Michaels shows us some of her work. Taos, New Mexico is celebrating their heritage, in particular their heritage involving some very remarkable women. When I toured with Patrizia Antonicelli, of Seven Directions Tours we also focused on women. Our quest was to learn more about the women of today and the women of the past. all in northern New Mexico. So it wasn’t unexpected that we would enjoy some time in Taos meeting with and discussing remarkable women. Places like Taos, have interesting stories to tell. Northern New Mexico was a draw for adventurous women as far back as the early 1900’s. The high desert and mountains of the southwest appealed to those looking for something new and exciting. The southwest had the rugged natural beauty to draw the artistic eye. Taos is working to create a core of events off which to build, the Taos museums, conference sponsors, art representatives and organizations, and many others – including The New Mexico Committee of the National Museum of Women in the Arts and other Santa Fe art and museum organizations – have created and are adding to a year-long schedule of activities, events and exhibits to celebrate Taos’ iconic women – past and present. When traveling with Seven Directions Tours we made several enlightening stops in Taos. The first was to the studio of fashion designer Patricia Michaels, a very current remarkable woman. Patricia is known for her innovative work with flowing fabrics which she turns into beautiful representations of the natural world. Patricia is of Native American and Polish heritage. Her work has been shown internationally. 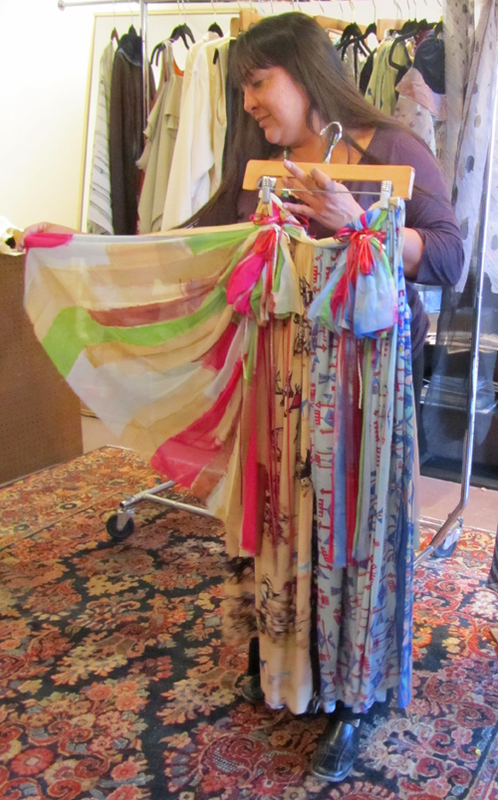 When we visited, we were thrilled to see her painting on silk and putting designs together for a trunk show in the Bahamas. Later in the year, I enjoyed seeing Patricia’s fashions being paraded through the Santa Fe Indian Market, turning heads with her edgy couture. 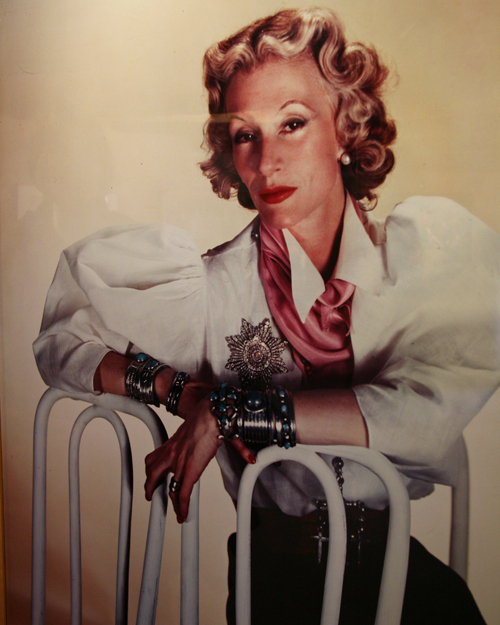 Another remarkable woman of Taos who, during her day, was known for high fashion was Millicent Rogers. Millicent Rogers (1902-1953) grew up in New York within privilege and wealth. While Millicent came to Taos for health reasons, she became enamored with the beauty she saw in the land and in Native American design. This fueled her creativity and her style was strongly influenced by the desert southwest. Visiting the Millicent Rogers museum is a "must do" when in Taos. The Millicent Rogers Museum, just outside Taos, houses her collections. If you enjoy Native American jewelry and artifacts, you must visit this wondrous museum. One of the highlights, in addition to the fabulous jewelry is seeing the Maria Martinez family collection of pottery. Of course no tour of notable women in the Taos area would be complete without a visit to the Mabel Dodge Luhan home which is on peaceful tree-shaded land bordering Taos Pueblo. Author and socialite, Mabel Dodge Luhan fell in love with Taos, New Mexico. She came to Taos in 1919 with her third husband, an artist. In her book, Edge of Taos Desert: An Escape to Reality, she writes beautifully about how she fell in love with Taos after being drawn there from the east coast. She writes so beautifully, in fact, that you, too, will want to experience Taos. Her lovely home, which you can visit, is frequently used for seminars and retreats. 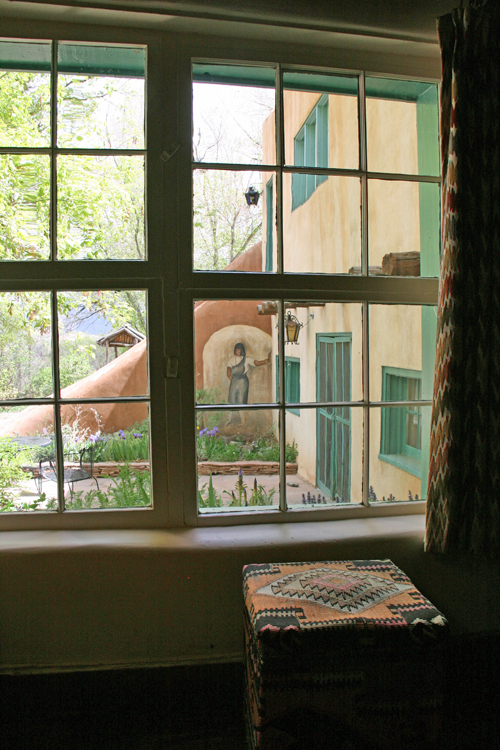 It is a B&B and visitors can enjoy staying there and experiencing some of the beauty that inspired Mabel Dodge Luhan. A focus on remarkable women would make a marvelous itinerary for a “girlfriends getaway.” No matter what your focus, there are many inspiring people and sites in and around Taos waiting to be discovered. Remarkable Women of Taos Website.